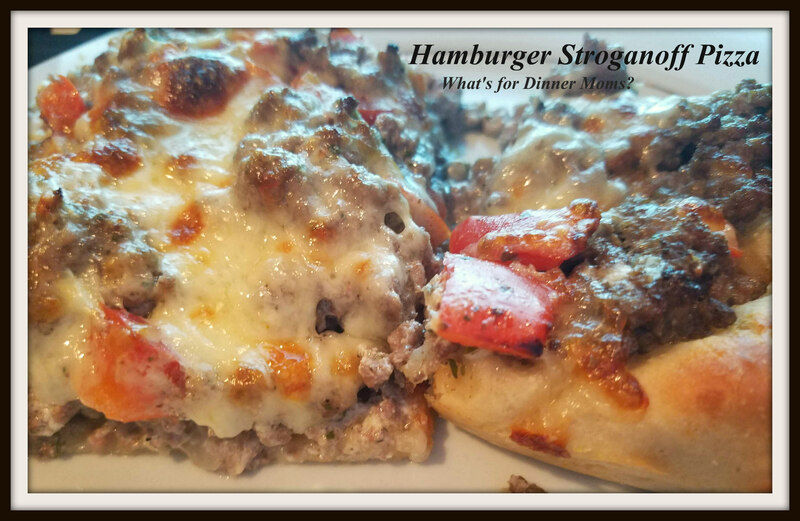 Hamburger Stroganoff Pizza – What's for Dinner Moms? Halloween came very early to our house this year. I needed to have both kids ready for Halloween about a week early. My son had a Halloween concert at the end of the week. 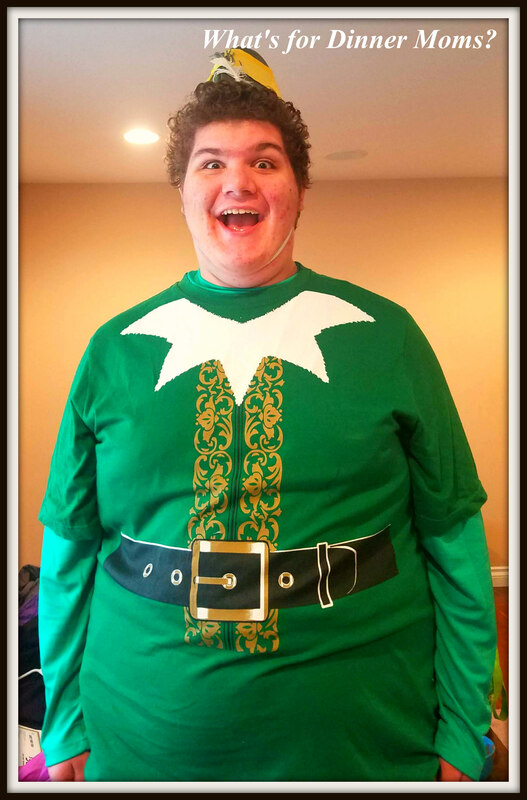 He was Buddy, the elf, from the movie Elf. Then my daughter had a Halloween Feis (rhymes with mesh, and Irish dance competition) in Chicago. She channeled her inner true 80s girl. I thought they both looked great. My daughter swears she was born in the wrong decade and that she would have thrived in the 80s. haha. So, as you can see meals still need to be super fast and easy. I am three weeks away from having my tax course done and about a month from the holiday concert I am helping to chair for a local non-profit organization. This meal was born of necessity. We are getting to the end of the month so my cupboard pickings are slim. 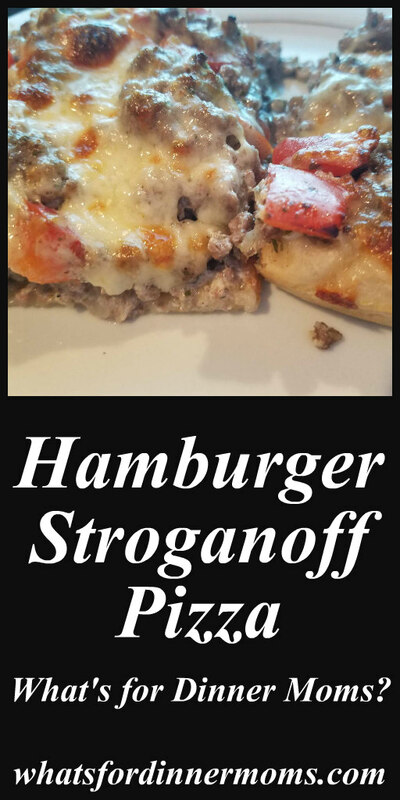 I have lots of flour, sugar, etc… on hand to make a crust was super easy and the mixture of ground beef, mushrooms, and sour cream really gave the pizza the flavor of Stroganoff. My family really liked this. It was different from anything we had before. This wasn’t a saucy pizza but you could put some sauce underneath if you like. It was like stroganoff with bread. In a large skillet, cook beef, mushrooms, pepper and onion over medium-high heat until beef is cooked through breaking up beef into small pieces. Drain grease off. Stir in dip mix and sour cream to meat. Bake pizza crust (if not prebaked) until bottom is golden brown. Place warm meat on pizza. Cover with the cheeses. Broil for 2-3 minutes until top browns. Remove pizza from broiler and allow to rest 3-5 minutes before cutting. They look like happy kids. I’m starving now! Thanks. They are good kids and usually pretty happy. This looks like something I’d love. Will have to try it sometime! The kids are so cute!! The pizza was creative, we love all things pizza.